New documentary attempts to shed light on what really happened to Shafilea Ahmed. In 2003, her strict Muslim parents killed her after taking issue w/the way she was dressed. They evaded justice, going on media & claiming suspicion on them was Islamophobia. I'm hoping that Noble Feminist Icons @IlhanMN, @RashidaTlaib, and @aoc will comment about the driving cause behind such grotesque tragedies. 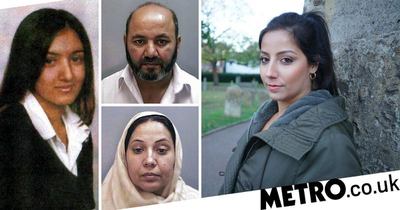 UK: Shafilea Ahmed murdered by parents for 'wearing short-sleeved top' Look out for new documentary ‘When Missing Turns into Murder’. Shefeila's years of suffering domestic abuse brings back harrowing memories of what I endured in my Muslim community for denouncing Islamism. We can't let the far-right hijack news like this who spread anti-Muslim hatred instead of solving honor killing.